The report found uncertainty of roles and responsibilities, miscommuncations and technical difficulties resulted in an almost two-hour delay in response. VANCOUVER - The refusal by the owners of a grain carrier to admit that fuel had spilled from their vessel into Vancouver's English Bay slowed the reaction time to the emergency, a review has found. The report released Friday also found uncertainty of roles and responsibilities, miscommuncations and technical difficulties resulted in an almost two-hour delay in response after the slick's discovery. The report was commissioned by the Canadian Coast Guard after a malfunction on the grain carrier MV Marathassa caused about 2,700 litres of bunker fuel to spill into the bay on April 8. Former assistant coast guard commissioner John Butler conducted the review and made 25 recommendations on how future marine spills could be handled differently. "This was an operational discharge of persistent fuel oil with very high consequences,'' Butler said in his report. The spill soiled beaches around Vancouver, including along Stanley Park — the city's jewel — and across the Burrard Inlet in West Vancouver. The response and recovery operation took 16 days. 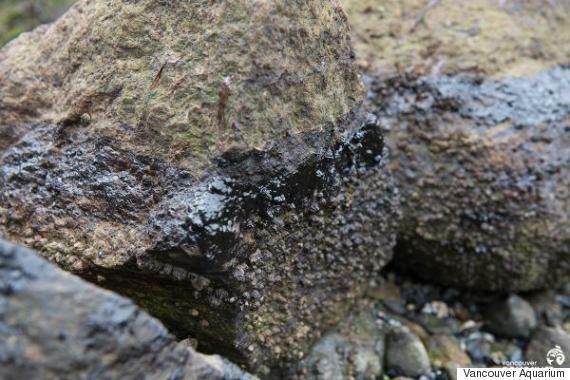 Barnacles are covered in oil at Second Beach in Vancouver after the spill. Crews work to clean up the North Vancouver shoreline. Butler recommended the coast guard have adequate staff to respond to a major marine-pollution incident, conduct exercises with First Nations and release accurate information as quickly as possible. His report also said the absence of officials from Environment Canada impacted the response's effectiveness. "Environment Canada's on-site leadership in providing sound, independent scientific and environmental advice would have been greatly beneficial to this incident,'' the report stated. 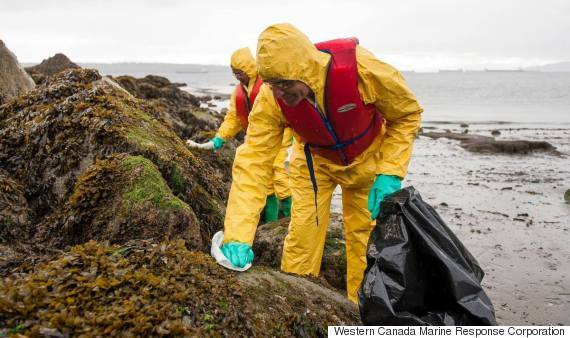 Premier Christy Clark and Vancouver Mayor Gregor Robertson criticized the coast guard's response at the time, with Robertson questioning why the city was not alerted until 13 hours after the spill was discovered. Fisheries Minister Gail Shea said she has directed the coast guard and other federal partners to act swiftly on all the recommendations and some are already being implemented. Shea said she wants to reassure B.C. residents the federal government is committed to protecting Canada's marine environments. The Marathassa is registered in Cypress. B.C. Environment Minister Mary Polak said in a release that the review of the spill is a very good first step towards ensuring the coast is better protected. While Polak says they're encouraged by measures taken by the federal government over tanker safety and marine-spill preparedness, her government remains focused on a world-class standard. "We are on the right path, but we also recognize there is still much more work to do towards achieving the sort of marine spill response capabilities we can be truly proud of,'' she said.